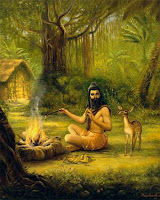 This section of the blog is a compilation of the Chinna Kathas (Parables) narrated by Bhagawan Baba at several points during the delivery of His Discourses. These are short stories that are pregnant with deep meaning and profound wisdom. Bhagawan Baba, as a Master orator, uses these stories to convey noble and lofty messages through His humorous and inspiring narration. One could hear the same story again and again and yet discover newer dimensions to it and greater messages in it. The audio clip of the Chinna Katha has a name that adopts the following code: Title, Duration of the clip, Year-Month-Date of the Clip. The central theme of the parable is presented first, before the title of the clip. Below the title is the English translation of the short story. Below the text of the story is the audio player. Central Theme: The last thing that we should be doing as human beings is judging the devotion to God in others. It is impossible to determine how devoted an individual is to God. Devotion is the sacred love that exists between an individual and God, and is known only to both of them. There is no yardstick available to human beings to measure devotion. Many of us consider external manifestations of devotion as a measure of one’s love for God: such as chanting the name of the Lord, spending time in worship, visiting places of worship or pilgrim centers, participating in holy gatherings, etc. However, these are neither necessary nor sufficient parameters for establishing the presence of devotion in an individual. 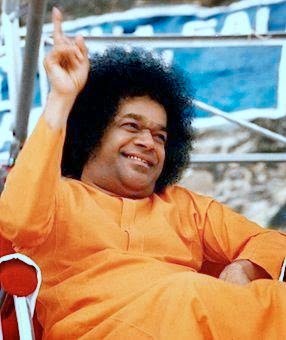 In this short story, Bhagawan Baba breaks this myth and clarifies that devotion is a private matter between the devotee and the Lord and need not be known to anybody else. There are some people who are not known to be devotees to the outside world. They do not engage in any satsangh (holy association). They do not engage in any sacred conversation. They do not openly demonstrate any sacred action. But yet these set of people keep God hidden in their heart. In a family there lived a husband and wife. The wife was an ardent devotee. She sanctified all her time in incessant remembrance of the name of the Lord. She kept looking forward to hearing the name of the Lord from her husband’s mouth any time or at any moment. But, the husband would not utter the name of the Lord in any situation or in any conversation. The wife was very depressed on account of this. God’s name is the most important principle for this life. God’s name is like the boat to cross the ocean of life. The wife was worried as to what would be the fate of her husband under these circumstances. “Having been born as a human being, experiencing the noble life of a human being, what is the use of this life if he does not think about God? Is this my bad luck? Or is this his fortune?” The wife used to think about all this and cry to herself. One day she made a special prayer to the Lord. “O compassionate One, O ocean of mercy, why did You give such a mind to my husband? He is unable to remember You even for a moment. Whatever may be the circumstances, he never thinks about You. Why did You bestow on him such a hard heart. Why have you transformed my husband to a stone hearted person? And why have You given me alone so much devotion? There seems to be no relation between these two. Is this my fate? Is this my past karma?” Praying so, she cried a lot. That night, the husband was fast asleep. While tossing to one side, he uttered, “Rama, Rama”. The wife heard these words. She told herself, “What a lucky day it is today. My ears are truly so lucky. I was able to hear the word “Rama” from the mouth of my husband”. Without his knowledge she got up from the bed. She decided to perform “poor feeding”, i.e. feeding food to the poor in the morning. She cleaned the house and decorated it with Rangoli (patterns created on the floor using materials such as coloured rice, dry flour, coloured sand or flower petals, meant to be sacred welcoming areas). 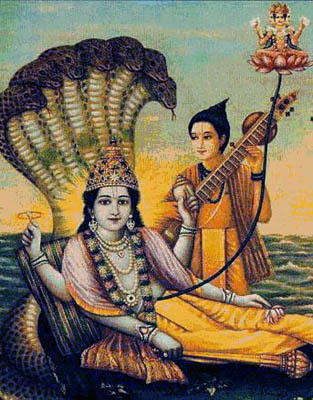 She arranged for Managala Vaadya (Naadaswaram – auspicious music). When the husband got uup the Naadaswaram was playing at the entrance of the house. Banana plants were tied at the entrance of the house (symbolizing festivity and sacredness). The wife was jumping with joy and moving about in the house. The husband asked her, “What is the festival today? Why are you so overjoyed?” When the husband questioned thus, she could not control herself anymore and she fell at the feet of her husband and cried out, “My God is an ocean of mercy, He is the storehouse of compassion. He has heard my prayers. Today I could get a reply for my prayers”. The husband asked her what reply was she referring to. The wife said, “Last night, in your sleep you remembered the name of Rama by chanting “Rama Rama”. In so many years I had never heard the name of Rama or Krishna or Govinda from your lips. At times I thought at least by mistake you may utter the name of the Lord while conversing with somebody. But I could not even hear that. However, yesterday night while tossing on the bed, you uttered the name of Rama. The name Rama uttered by you is the cause for my extreme joy. It has given me so much enthusiasm. Unable to control my joy I decided to offer free food to some ten or more people”. Listening to this the husband was surprised. “What? Did the name of Rama escape from my lips? All this while, I protected Him so safely inside me. I kept His name locked inside my heart. Did He escape from my heart yesterday night?” So saying, the husband breathed his last! Central Theme: God is omnipresent, omnipotent and omniscient. His Will always prevails. It is just that we, as human beings, with our restricted understanding and perspective and our limited conscious memory are unable to comprehend and recognize His Will pervading through every event in our lives. However, after the occurrence of an event or a situation, we find it easier to accept it as His Will. At times, our wish and desire may align with His Will, which brings us joy and happiness and at other times our plans may not be in alignment with His Will and such situations tend to make us feel disappointed and sometimes frustrated. However, Bhagawan Baba says that a true devotee must accept both such situations with a positive spirit and always remain cheerful knowing that whatever happen is for our good. 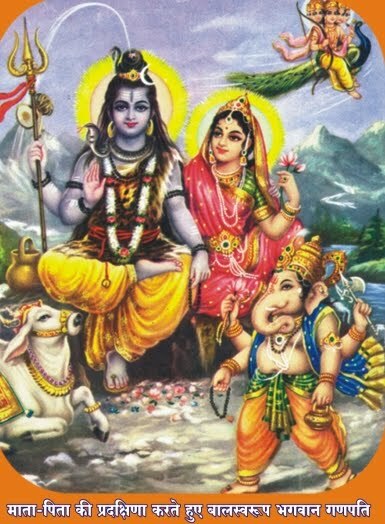 In this short story, Bhagawan Baba uses examples of Lord Shiva (representing the Almighty Omniwill) and Parvati (representing Prakruti / Nature, i.e. the human being) to illustrate the above point. Here is a short story. Once upon a time, Parvati approached Lord Shiva and said, “You move around daily and hardly stay at one place any time. You move around everywhere but we do not have any home that we can call as our own. How can I lead such a life with you? There is no home, not even a shelter with a sheet. If it rains, we do not have any shelter with a sheet (roof). This apart, so many sages come to have your Darshan. If we build a small shed or a house, it would be convenient, both for us as well as for them.” Parvati prayed thus. This goes to show that the house wife Parvati had a desire for a house. This is a very natural quality in all women. She asked for a house to be built. Iswara replied, “Parvati, what is there in building a house? Even before we enter into it, rats will get in. To prevent rats from coming in, we would need a cat. For the cat we would need milk. And then to take care of all this, we would need a maidservant. Why all this paraphernalia? It is better not to have any house at all”. However, Parvati insisted on having a house and Iswara on not having one. This debate went on between them. In every family, this debate of “yes / no”, “yes / no”, keeps going on. Finally, the decision of Iswara prevailed. Parvati then very calmly put forth a question to Iswara, “Iswara why do you speak in such a stubborn manner? This (request for a house) is not merely for me. The sages too will come and reside here. They will stay here as there would be shelter for them. It would give you, me and everybody a shelter to cover ourselves”. Iswara said, “Even if you were to start (building the house) now, the timing is not very good (auspicious). Whatever mansion you may build, Agni Devata (the Lord of fire) will burn the mansion out of anger. I am aware of the future. You do not know. Therefore, please remain silent and sit down”. Parvati replied, “Iswara, all powers are in you. All deities are in your control. Fire is under your control, In fact, all elements are under your control. If you command Agni (Lord of fire), he would not cause any harm, is it not? He would obey your command and would never violate it. Therefore, please command the Lord of fire”. Iswara agreed to do so. What else could he do? The wish of the house lady had to be fulfilled. He made a promise to Parvati. He said, He would go to the Lord of fire and get a word of commitment from him. He asked her to wait till then. Since the words of Iswara are always the Truth, she started the construction of the house. But when Iswara was leaving, Parvati made one observation, “Iswara, in case Agni (the Lord of fire) comes and burns the house built by me, it will be a great embarrassment for me. Therefore, if Agni (Lord of fire) does not agree to your command, you please play the drum. Then, (understanding the signal) I will myself burn the house built by me. I will not give Agni (Lord of fire) this opportunity”. She got this promise from Iswara. Iswara went to Agni (Lord of fire). Agni bowed to Him and asked, “Lord, what is the work for which you have come here? What is your command?” Iswara replied, “I have no wish. But, Parvati is building a house. She is likely to be harmed by you. But, I request you, not to get in her way. Kindly make me this promise”. Agni (Lord of fire) gave this promise. Having made the promise, Agni prayed to Iswara, “Swami, from so many days, I am desirous of seeing your Shiva Tandava dance. I have desired to witness the Shiva Tandava dance from such a long time”. To satisfy Agni (Lord of fire), Shiva performed the Shiva Tandava dance. While performing the dance, Shiva played the drum (which is part of the performance). Parvati heard the sound of the drum and (mistaking it to be the signal from Iswara) she burned down the house built by her. Finally, Parvati burned down her house. Iswara came and saw this. The bonfire was on. Iswara asked, “Parvati, what is this strange happening? Lord Agni gave Me a word that he would not burn down the house.” Parvati in turn asked, “Then, why did you play the drum?” Iswara said, “In fact, I had willed (right from the beginning) that there should be no house. I performed the Shiva Tandava dance to satisfy Agni (Lord of fire). While performing the Tandava, I forgot and played the drum”. This only means that the Will of Iswara will never go unfulfilled in spite of any obstacles coming in the way. Central Theme: To see any situation dispassionately and objectively, as is always desirable in understanding a scenario, it is essential to have a perception of the big picture. However, humans as we are, with limited knowledge of the past, thanks to our failing memories; total ignorance about the future and apathy towards the present; we hardly ever succeed in seeing the big picture or the helicopter view, if you wish. God, who is omnipresent, omniscient and omnipotent, is the only One who has a complete picture of each life in its entirety. Therefore, whatever God Wills, does or says with His Selfless Love must necessarily be for the ultimate good of human beings. However, when seen through the constrained lens of the human eye, His words or acts may appear negative or at times unjust. But all it takes is patience and forbearance to be a witness to how His Will unfolds itself in a way that we would never imagine and culminates in what is plausibly the best for us. Once upon a time, there used to be a king. As he was the king, several servants used to get sugarcane, peel the skin, cut it into small pieces and offer them to him. One day, the king desired to cut the sugarcane himself and eat it. He held the sugarcane and cut it with a knife. His finger got caught (in the process). The blood was oozing out. The Minister who stood next to the king, folded his hands and said, “Maharaja (king), this is good for you”. The king was furious, “What? My finger getting cut; is it good for me? Are you desirous of subjecting me to danger? Are you seeking that I should be subject to difficulties? Chee (fie on you)...such a Minister should not be with me”. The king called for a soldier and asked him to put the Minister in jail. Even while entering into the prison, the Minister said, “Maharaja (king), this is for my good”. Earlier he had told the king, “This is good for you”. Now he said, “This is good for me”. The king was confused. My finger getting cut, the Minister said, was good for me. Now going to the jail, he says, is good for him. How can this be good? The king was drowned in this thought. These days, kings have crowns with all precious gems and stones on their head, but inside their head they have mud. This is so because; the kings always live with the support of others (seeking guidance from others). That is why they keep Ministers. The king then left the place. After around three to four days, the king went to the forest for hunting. The king had no helper. The other soldiers do not generally sit in the king’s chariot. As the Minister was not there, the king was travelling in the chariot all alone. He went round and round and round the forest. He was tired. However, there was no one to even give him water. He sat and took rest under a tree. Meanwhile, there were some tribals in the forest who were big thieves. They had a festival that day. What was the festival? It was the day when they had to offer a good human body as sacrifice to their family deity. They sent their soldiers all around to fetch some good human body. The soldiers were roaming all around the forest. The king was tired and relaxing below a tree. The thieves saw him. They thought, “Wow! We have got a very good person. He’s just like a sweet, a laddoo (sweet ball) for our deity”. Once they saw him, they caught him. They took him and proceeded to the king of the thieves. The king said, “Fine, we have got a good person. Make all arrangements for (the sacrifice) tomorrow”. The king was fed well. They applied kumkum (vermillion) on his face. They tied neem leaves and took him to the Goddess, so as to behead him. There was a priest over there. He said, “There should be no defect in the offering that is being made to the God. Any human body with any sort of deformity cannot be offered to God. So please check whether all his limbs are fine”. They checked all parts of his body. They came close to the fingers. They found one finger cut. They exclaimed, “Che che che (fie)..Mother (Goddess) will not accept this body”. Saying so, they left him free. The king went straight from the forest to the jail. He said, “Minister, what you said has become true. It is the highest truth. My finger getting cut was good for me. The Goddess did not accept me and therefore I was set free with my life. But when you were sent to jail, you said, that was good for you. What is good for you in this?” The Minister replied, “Maharaja (king), in case I was fine and I would not have been in jail, I would have come along with you. Your body had a defect but my body would have been fine. Therefore, they would have offered me as a sacrifice. That is why; putting me in the jail was good for me. My life also got saved. It is good for you as your life also got saved”. Thus whatever happens, (we must think), it is good for me, good for me, good for me. Only when we recognize this truth, we will earn God’s Grace in plenty, in abundance. If we go only by our own feelings, when will we follow the vast, lofty principle of God? We must have the firm confidence that whatever God says or does, it is for my good. Central Theme: Human temperaments vary from person to person. Accordingly, the approach followed to develop an intimate relationship with God, also varies from person to person. Some consider God as a supreme being whose duty is to solve their problems and difficulties and bring happiness to them. Others regard God as a “Cosmic ATM” who ought to bestow all riches and wealth on them. There are others who seek for the highest wisdom and wish to know the Truth about the creation and the creator. And then there are those who have no desires but to seek Him. Lord Krishna in the Bhagavad Gita, declares that all these four types of devotees are very dear to Him. O best among the Bharatas [Arjuna], four kinds of pious men render devotional service unto Me: the distressed, the desirer of wealth, the inquisitive, and he who is searching for knowledge of the Absolute. 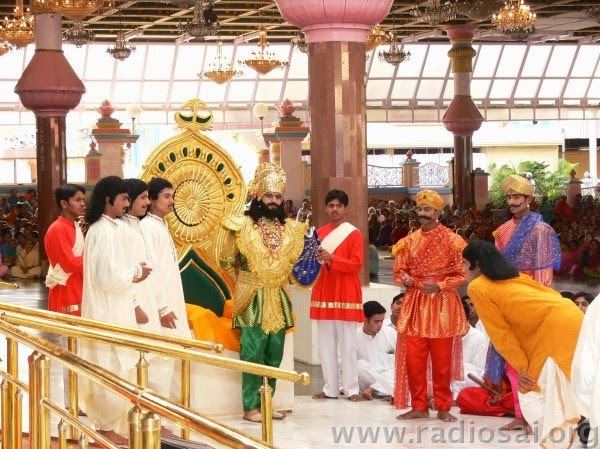 Bhagawan Baba illustrates this concept of the four types of devotees, through the story of a rich man who had four wives, with varying expectations from their husband. Whatever changes may take place we must never forget the fundamental principle. After birth we call the person as a child. After ten years, we refer to him as a boy. After thirty years, we call him a man and after 75 years we address him as grandfather. The person is one, but the difference is in age and in names. That is the fundamental principle. There is only person and he is only the child, the boy, the man and the grandfather. In the same manner, God in the beginning assumes a form. When we face difficulties and problems we pray to Him as Aarthis. Later we assume the role of Arthaarthis. Then we become Jignaasis. 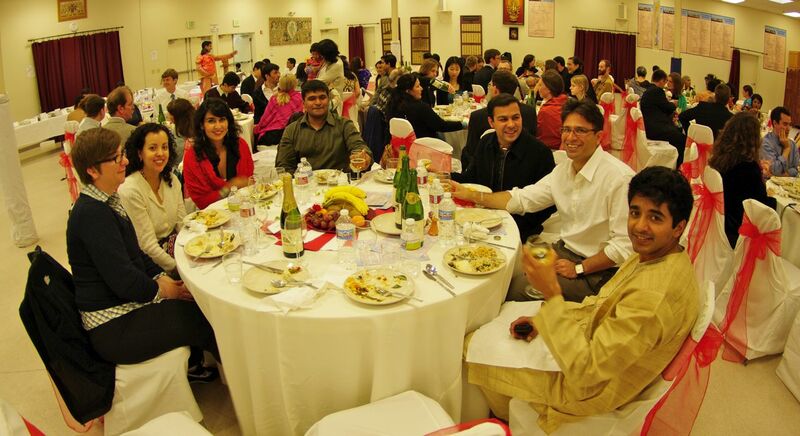 In this manner we must develop different types of intimate bonding and relationship with God. Here is a short story. A rich man had four wives. The first wife was very spiritual. The second wife was not keeping very well due to ill health. The third wife used to read many good books. The fourth wife was a modern wife. She desired for fashionable saris, fashionable jewels and such other fashionable items. Once, the rich man had to go to America on some business work. However, the work for which he had gone could not be completed in time and he kept postponing his return. He then wrote four letters, one to each of his wives. He wrote, “I am returning in the coming week. Each one you, please send me a message about what all you want from here. Send me a fax message”. The fourth wife, who was a modern girl, wrote to him, “In that country, whatever latest fashion saris and jewels are there, please bring them for me”. The third wife asked him to bring books on the stories of great and noble characters. The second wife wrote, “I am unable to bear my sickness. If there are any latest medicines for this ailment, please bring them to me”. The first wife wrote, “I do not need anything. You please return here safely, that is enough for me”. The husband returned. He gave the saris and jewels that he had brought, to the fourth wife. He gave to the third wife the books that he had brought with him. To the second wife, he handed over the medicines that he had brought. He then went to the first wife and stayed with her in his house. The other three wives got angry. “Why do you stay there? Why don’t you come here?”’ they questioned. It is so difficult in this world to stay with one wife itself; and if there are two wives, nothing more to say! And if one has three wives, then one would have to go on exile like Sri Rama had to (when one of the three wives prayed to King Dasaratha accordingly). And with four wives, it would be just unbearable. The three wives therefore started fighting with him. He then said (pointing to the three wives), “I gave you what you desired. You asked for saris and jewels. You asked for good books. You wanted medicines. And she (pointing to the first wife) desired for me. Therefore, I am staying with her”. God is also just like that. To those who pray for riches and wealth, God confers on them riches and wealth. To others who pray for wisdom, He grants them wisdom. To those who pray for healing their sickness, He gives them medicines by constructing super speciality hospitals. And to those who pray only for Him, He goes and stays close to them. These are the four types of devotees: Aarthi, Arthaarthi, Jignaasu and Jnani. Therefore whatever we desire, God will grant us the same. But these are all not important for us. It is God who is important. Once God becomes ours, we can earn whatever we want. Thus, real wealth is God. Real health is God. Humans should make an attempt to desire for such God. Why? Because, we have come from God, we need to reach back to Him. Arthi is the distressed devotee who suffers and craves for the grace of God in order to be relieved from pain and sorrow. He worships in order to receive God’s grace and be relieved from suffering on account of disaster, failure, loss, harassment, etc. Artharthi is the seeker of wealth who worships the Lord in order to acquire material possessions, progeny, assets, property, fame and fortune. Jignasu is the enquirer and intellectual devotee. He is dissatisfied with the world and feels there is a void in his life. He senses that pleasure is not the highest form of happiness and that there is pure eternal bliss to be found within, untainted by grief and pain. He seeks higher knowledge and wisdom. Jnani is a man of knowledge who has attained self-illumination. He is the wise bhakta who seeks God without any expectations and realizes that the Lord is within himself and everywhere around him. Central Theme: The human body is merely an instrument in our hands. Ancient wisdom tells us that man is truly Divine, but having a human experience. However, the manifest creation that is a permutation and combination of the 5 elements and the 3 Gunas (attributes) is so realistic when perceived through our sense organs, that we refuse to believe in its ephemeral nature. Whereas we, on the other hand, refuse to believe in the eternal nature of our true Self! This point is well illustrated in the story of Sage Ashtavakra, who had a physical body with 8 bends/twists. Great eminent scholars get carried away with his physical appearance and mock at him, whereas Ashtavakra reminds them of his true nature that is beyond form and name. Assembly of Scholars or Congregation of Cobblers? Once upon a time, King Janaka was performing a great Yajna (ritual of sacrifice). He convened an assembly of scholars. Being a convention of scholars, he sent invitations to a number of great scholars. Scholars who had achieved great name and fame came to the assembly. Scholars and experts in scriptures; came to the assembly. The intellectuals who could explain and present the Vedas, Scriptures and Puranas also attended the gathering. All were seated in silence. In the assembly, right at the centre of the pathway, an individual who had many bends/twists in his body was walking and approaching the king. Everybody looked at him. If he would have been an ordinary person, nobody would have cared about him, but being an individual with so many bends in his body, it was very strange for all to look at such a person. Immediately everybody burst into laughter. A look at his (crooked) form, brought laughter to all. (Surprisingly) If they all laughed loudly, this person laughed even more loudly, 10 times more than what they laughed. The king was very surprised. He welcomed him and offered him an elevated throne for sitting. The king said, “O noble soul, there is a reason for all these people to laugh. The reason being your physical body, which has so many twists/bends. What is your name?” The visitor replied, “My name is Ashtavakra (meaning his body had eight bends/twists in it)”. Looking at his body, all scholars had a hearty laugh. Each one has their own perceptions. Munde munde matir bhinna (Each head thinks differently). Each one’s perspective makes one look at everything in one’s own way. Central Theme: The essence of the ancient wisdom of the Bharatiya culture lies in the belief of the oneness of Divinity. Vedanta stresses on the truth that God is one, not two. What we perceive with our senses is only a manifestation of the diversity in unity. Therefore, the goal and purpose of human life is to seek the unity in all this apparent diversity. Bhagawan communicates this profound truth through a wonderful analogy of a boulder that is sculpted into an idol of Lord Rama. The sculptor finds some useless boulder fallen on a mountain. However, the sculptor chisels the boulder and makes it into an idol of Lord Rama. The sculptor transforms the rock fallen on a mountain into an attractive idol of Lord Rama. 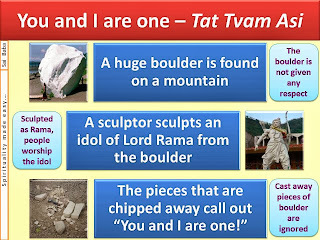 Now, did the sculptor transform the boulder into an idol of Rama or was there an idol of Rama in the boulder already? 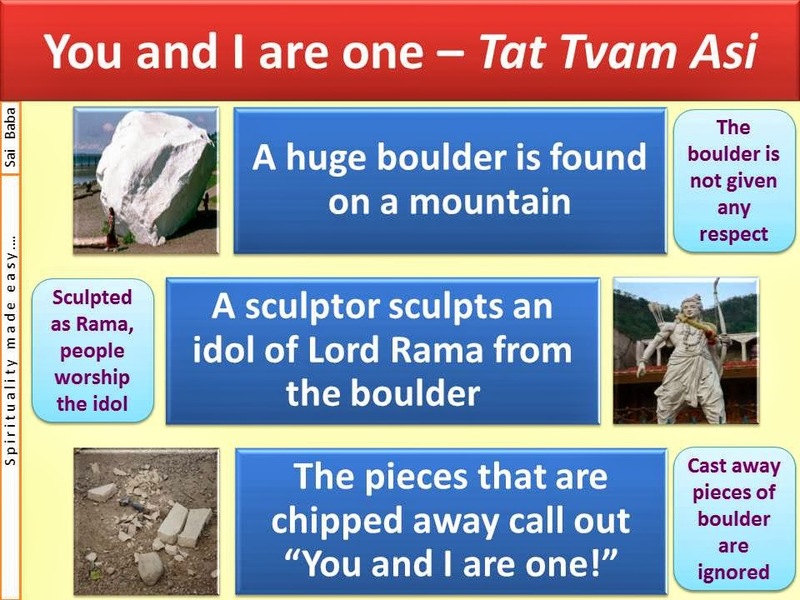 Rama was there in the boulder from before! The sculptor only removed all the fat (extra pieces) neatly. Once the fat is removed, the idol of Rama manifests itself. This is referred to (in Vedanta) as “Tat Tvam Asi”; “Aham Brahmasmi” (we are that). However, we on our own, because of worldly tendencies and attractions, are considering ourselves to be different and are dividing ourselves. The defect here lies in the individual and not in the Divine power. Wherever you see, God is there. We must therefore, without fail, have faith in such Divinity. Central Theme: The story of Lord Ganesha going around His parents thrice and claiming that He had indeed gone around the world thrice is a very popular story. But listening to the story from Bhagawan’s own mouth is an unique experience, for the subtleties and the nuances that He can give, being the very embodiment of Lord Shiva Himself, cannot be heard anywhere else. The central theme of the story is that God is only one and is everywhere. Another important message that we receive from this story is that our parents are verily our God. A sports competition was organized for the children (of Lord Shiva). Lord Shiva declared, “Whoever will go round the three worlds first and return, I will give them the award”. Karthikeya is the one who is pleased very easily. He is Subramanyam, also called Kumaaraswamy. His chariot is the peacock. He boarded the peacock and set out to go round the three worlds. Vinaayaka is very intelligent. He is very accomplished in his intelligence and wisdom. Therefore, (he thought) wherever one may see, it is my father and my mother who is present. This is Prakruti (Nature) and Paramaatma (Supreme Self). Prakruti without Paramaatma and Paramaatma without Prakruti cannot be found anywhere. Therefore, this world is the combined form of Prakruti (Nature) and Paramaatma (Supreme Self). Thus Vinaayaka was the one who recognized the truth that circumambulation of his parents would amount to circumambulation of the entire world. Subramanya was returning at full speed. Vinaayaka saw this. He immediately got up, went round his parents and said, “Father, I have returned”. Parvati was smiling. She remarked, “What is this – your intelligence? How easily you are trying to escape! Do not change your knack into crack. You should make use of your knack with the right Divine feelings”. Central Theme: Bhagawan says that our two greatest enemies are Ahamkaaram and Mamakaaram (I and Mine - ego and attachment), which prevent us from embarking on our spiritual journey. The story of Ubhaya Bharati and the Brahmajnaani, is narrated by Bhagawan to drive home this important message to us. It illustrates that leave alone ordinary human beings, even great people of wisdom find it very difficult to give up ego and attachment. Hence, we must right away start making efforts to overcome these two negative aspects in our life. Ubhaya Bharati, was the wife of Manadana Misra (a Hindu philosopher who later became a disciple of Sri Adi Shankaracharya). Being the better half of Manadana Misra; once he took to sanyasa (renunciation), she too had to take to the same path of sanyasa. She set up a small hermitage. She collected all women there and started preaching to them, the sacred principle of the Atman. Her regular daily duty consisted of going to banks of the river Ganga along with her disciples, taking a holy bath, preaching Vedanata to them for a while and bringing them back home thereafter. One day, while going to the banks of the river Ganga, they saw a board there, which read, “The Ashram of the Brahmajnaani (wise one)”. She enquired “What? Is there anyone who possesses the qualities of this name?” At a short distance they saw a noble person sleeping over there keeping his hollow water jug (made out of a dried bottle-gourd) as a pillow under his head. The people around pointed to him stating that he was the Brahmajnaani. Ubhaya Bharati smiled, “Ayo paapam (poor man), if he is truly a Brahmajnaani, then why is he so attached to this water jug? He has kept this water jug under his head to protect it”. She said this loudly to her disciple sisters, with the intention that he should also be able to hear the same. The disciples laughed (at her remark). 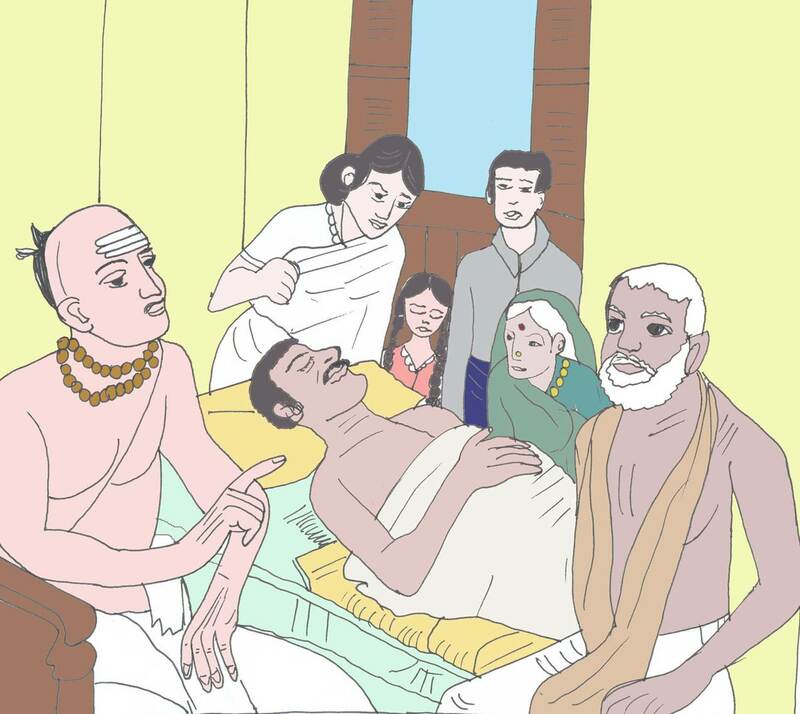 The Brahmajnaani heard the remark and also saw them (laughing). He got very angry. He was waiting for them to return (from the river bank). Seeing them returning, he removed the water jug from below his head and threw it towards them. It was to show them symbolically, “see how much sense of sacrifice I have”. Looking at this Ubahaya Bharati said, “Ayo paapam (poor man), when we went by this morning, we thought he just had abhimaanam (ego or attachment); now he seems to have anger too. Can a person having attachment and anger ever be a Brahmajnaani? Hearing this, the Brahmajnaani thought deeply, “she is not an ordinary lady”. He got up and came to her. He asked, “Mother, who are you? I think you are Ubhaya Bharati, the wife of Manadana Misra. Please pardon my mistake. So long as there is Raaga and Dvesha (attachment and hatred), one cannot become a Brahmajnaani. 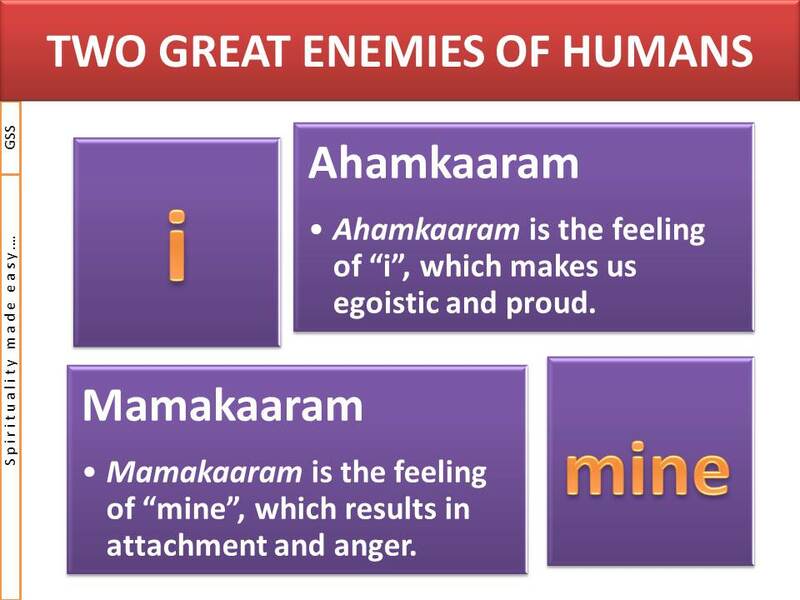 So long as one has Ahamkaaram and Mamakaaram (ego and attachment), one can never become a Brahmajnaani”. Saying so, he prostrated in front of her and requested her to preach to him the Brahmajnaanam. Central Theme: Bharatiya scriptures state – Matru Devo Bhava, Pitru Devo Bhava - Mother is God, Father is God. Respect and love for parents is a virtue highlighted in all scriptures. But yet, we find a huge deficit of filial piety in the world. Bhagawan narrates a story to focus on this very aspect. He emphasizes that every action has a consequence and therefore, if we do not love and respect our parents, we would face a similar treatment from our own children in the future. Once, there lived a rich man. He begot one son. The rich man had an aged father. However, in this modern world, people do not have the quality of respecting their old parents. They prefer to send such old people to a home for the aged. To this end, the husband and the wife thought a lot. 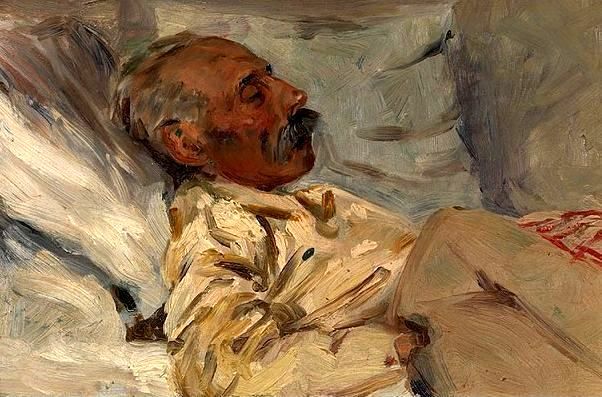 They felt that by keeping this old man (the father) in the house, they would have to bear some suffering all the time; so why not make a small room in the verandah and leave him there. The couple begot a son. The son used to go to the grandfather from morning to night, asking him to share his life experiences, good experiences and matters of morality with him. The rich educated man was apprehensive about the impact that the grandfather would have on his son and so he prevented his son from going to his grandfather. The couple used to dump some cooked food in an earthen plate and place it for the old man to eat. Apart from that, they would never go to meet him. The young boy with a tender heart watched all these scenes. He thought to himself, “Whose is the property which my father and mother are enjoying? It is the property of my grandfather. All the comforts that we are enjoying belong to my grandfather. My grandfather is responsible for the recognition and the wealth that my parents have earned. Today, enjoying all the property of my grandfather, they are causing so much pain to him; this is very unjust”. One day, the student (boy) who understood this truth; took the earthen plate and hid it somewhere. The next day his mother and father, both were searching all the rooms (for the earthen plate), so as to give food to the old man. The boy approached them and said, “Father, mother, what are you searching for?” They replied, “Nothing son, we are unable to find the earthen plate that we use for your grandfather. We keep food in that and give it to him. Today, we are unable to find that plate”. The boy took courage and said, “Father, you do not need to search for that plate. I have actually hidden that plate”. The father reprimanded him with anger, “Why have you hidden that plate?” The boy replied, “I have kept it aside for the future; to use that plate for you in your old age”. See, today’s children are already planning to give you the experience of the consequences of your actions. Your children will treat you just like you treat your parents. Just like you deceive your friend, your friend will also deceive you. Just like you respect your brother, your brother will also respect you. Therefore, “Yad Bhaavam Tad Bhavati”; we cannot escape the consequences of our actions. God created this beautiful world and gave man the freedom to enjoy all conveniences and comforts. He also gave man a variety of powers and capabilities. God will never say “No” to anything. You can act according to what you desire. But before you act, bear in mind that you will have to face the consequences of your actions and there is no escape from that. Then, you will not enter into such bad actions. You will never undertake sinful acts. You will sanctify your time, only in good and sacred actions. Central Theme: Bhagawan always stresses on transformation of the heart. It is the feelings that need to be transformed and not merely the name, dress or the look. Often, we miss the wood for the trees. 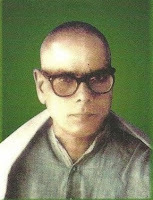 Through this story of Swami Ramanand Tirtha (Swami Ramanand Tirtha [1903-1972] was an Indian Freedom fighter, educator and social activist who led the Hyderabad liberation struggle, during the reign of the last Nizam. He was the main leader of the Hyderabad State Congress), Bhagawan demonstrates how merely changing the form does not help one in spirituality. It is the content that needs modification. Swami Ramanand Tirtha’s wife was instrumental in this process of transformation. The need of the hour is transformation in our feelings. It is of no use to merely change the form, the attire, or our dress. What needs to be changed is our qualities. What is the use of mere change of human beings? The mind needs to be changed. I have told you the story of Ramananda Tirtha. Ramananda took up the life of an ascetic (sanyaasi). Living on the top of the Chitrakuta mountain and contemplating on God; he propagated the message of spirituality to the people. His teachings were very attractive. People from all nearby villages would gather there to listen to his enchanting teachings. Amidst that group, once his wife too went there to listen to his teachings. As the wife sat there to listen to his teachings, Ramananda’s sight fell on her as he was speaking. He immediately turned his face in another direction. After the conclusion of the Discourse, the wife went to him and advised him, “Swami I thought you were a noble person, a total renunciant, without any desires; and thus came to listen to your teachings. However, you have merely changed your form and not your feelings. When you looked at me, you got a thought that I am your wife and that is why you changed your direction of looks immediately, is it not? Why should you still have the feeling that I am your wife? This feeling is responsible for everything. Being so, you will not be able to attain Divinity”. Ramamnanda recognized the truth in her advise. He handed over his upper garment (angavastraa) to her and promised her, “from today I am taking true renunciation (sanyaasa).” From that day onwards he genuinely transformed his feelings. In the same manner, whatever Sadhana (spiritual exercise) one may engage in, devotees must make an attempt to turn their feelings towards God. Sitting in a spiritual congregation and engaging the mind in the world – how will this help? Thus the mind has to be turned towards God. It must be full of Divine feelings. Only then will our spiritual pursuits find true fulfillment. Central Theme: However genuine worldly relations may be; they are eventually ephemeral. Through this humorous story of the sage and the magic pill, Bhagawan sends us a strong message about the ephemeral nature of our worldly relationships. This is not to condemn worldly relationships, but to just caution human beings not to get too attached to worldly relationships, imagining them to be eternal and permanent. They are no doubt necessary but not sufficient for a happy life. They are not the “be-all and end-all” of life! The guru told him, “See, I will prove to you with direct experience.” He gave the boy a pill and said, “As soon as you go home, you consume that pill. You will then fall down as though you were dead. However, you will be very much conscious. You will know what each person is doing and saying. But for the outer world, it will appear as though you have no life in you. Then you will recognize this truth. Let us see, this is a test”. Students and youth, these days, like to test everything. You have so many tests – 1st Semester, 2nd Semester, 3rd Semester and 4th Semester. Thus test is like a taste for the students. The boy went home and consumed the pill. He dropped down. The mother came and called the father. She started screaming and crying as her son was dead. Hearing this, the wife came running. She too started crying worrying about her own fate. She thought, “I am the only daughter of my father. If my husband dies like this what will be my fate?” Even while crying, she was repeating “What will be my fate? What will be my fate?” All others too assembled there. All of them felt very sad that he was such a good boy and was spending his time on the spiritual path. Thus, all the three refused. They went in and designed a master plan. They came out and said, “Swami, you are so compassionate. You have no responsibilities. Please, you yourself drink this water and save our son. We will get a beautiful marble Samadhi (tomb) built for you! The Swami sprinkled some water on the boy and he got up. The Swami said, “Boy, did you see what your wife told? What did your mother say? What did your father say? Finally, they asked me to die. So long as there is body attachment, we love this body. This love too is for selfish reasons. God is the only one who is selfless, without any selfishness. Central Theme: The true purpose of life is to realize our true Self, to realize that we are beyond birth and death. Hence, the true purpose of being born is to ensure that we are not born again. However, we fail to realize this purpose and get caught up in the cycle of birth and death. 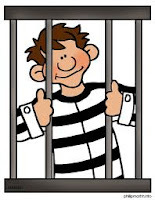 Bhagawan brings to attention this folly of ours, through the humorous story of a thief returning time and again to the prison. The audio clip of the parable has a name that adopts the following code: Title, Duration of the clip, Year-Month-Date of the Clip. Below the title is the translation in English, followed by the audio player. prison of this world again and again? Having been born, we must get a good name; that will be the true fulfilment for our life. If we still keep on committing mistakes again and again and again, when we would we ever escape (this cycle of birth and death)? There was a thief. He would commit theft and then go and rest in the jail. Once, he committed a major crime and even murdered a person. He was arrested and granted three years of rigorous imprisonment. The three years passed by. The jail superintendent came and told him, “Son, your period (of imprisonment) is over. We are releasing you tomorrow. Keep all your items (plate, basket, and other baggage) ready”. The thief then folded his hands (as a mark of respect) and told the Superintendent, “Sir, anyway I will be coming back tomorrow or the day after. So please let this baggage be here only”. That means, his objective was to commit theft again. If you ask anybody as to why they take medicine, they would say, “We take medicine to get cured from the disease”. This is not the right answer. Why do you take medicine? We take medicine so that we may not have to take any medicine again. This is the right answer. But we think it is just for curing the disease. OK, it may cure that disease, but you may contract another new disease. Then, you will have to take some other medicine. Therefore, why do we take medicines? It is to ensure that we do not have to take any medicines again, i.e. to ensure that no other disease affects us again. Why are we born? We are born so as not to be born again. That is the right answer. Why do you go to write the examination? To make sure you do not have to write the examination again. Otherwise, you write an exam, you fail, you again write the exam, you fail, is this the true purpose? No, you should never go to write the exam again. We must recognize these right answers and strive to live life accordingly. Central Theme: Worldly desires are the ones that take us away from God. 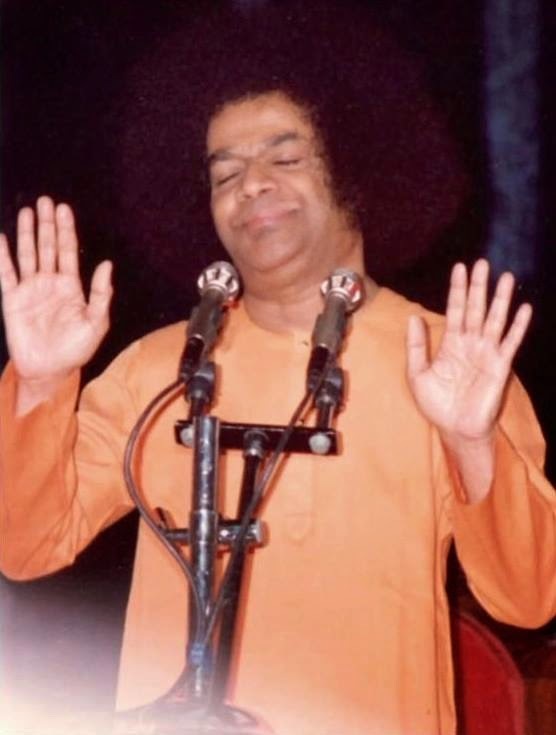 Through this humorous story, Bhagawan communicates to us that so long as worldly desires fill our mind; it will never get attracted to God and will not turn towards spirituality. The key is to wash away the bitterness of the worldly desires so that we can taste the true Divine sweetness. The problem is within, not without! There was a rich man. He had no work to do. Just loading, unloading, loading, unloading, loading, unloading! Eat and sit, eat and sit, eat and sit! Because of eating like this, he got the problem of indigestion. A special doctor was called and asked what the root cause of the problem was and what was the medicine for it. The doctor, being an expert, said, “O rich man, you do not need to spend even a naya paisa. You are yourself responsible for getting this indigestion problem. Do you not know the capacity of your own stomach? 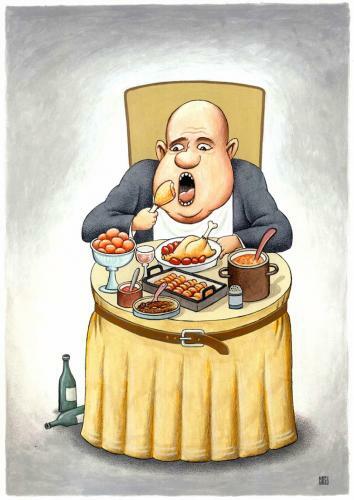 With excessive desire, you are just stuffing food into yourself with a stick. Therefore, it has led to indigestion. The power of digestion is less and the intake of material is more. That is how indigestion sets in. I will give you a good medicine for this. Listen carefully. You take some rock salt”. These days we get fine powder salt. In early days it used to be available as rock salt (granular salt). “At all times, keep some rock salt in your mouth and keep swallowing its essence continuously”. Anyone suffering from indigestion can use this solution. The rich man thus kept swallowing (the rock salt juice) in this manner. After a while, his problem of indigestion reduced. His birthday fell at around this time. As his indigestion problem had reduced, he thought that he would distribute sweets to everybody on his birthday. He went to every sweet shop. “Sir, I want to see how your sweets taste”. Saying so, he pinched a little piece and put it into his mouth. It was salty. He did not like this. He went further to 5 to 6 shops, one by one. The 6th shopkeeper could understand the situation well. The rich man told the shopkeeper, “I will first taste your sweet and then make the purchase”. The sweet shopkeeper said, “OK. First do you see the tap over there? Go there and wash your mouth. Then I will show you the taste of my Laddu”. The rich man went as instructed and washed his mouth clean. He threw out the rock salt in his mouth and returned with a clean mouth. He then tasted the Laddu and found it to be sweet. He said, “This Laddu is good”. The Laddu shopkeeper then said, “O foolish man, keeping the salt in your mouth, how much ever sweet you taste, will it taste sweet? No. It will taste salty only”. Likewise, today, for those who are affected with the disease of atheism, it is equivalent to keeping a rock of bitterness in the mouth and eating any form of sweet. It will taste bitter only. Keeping bad qualities, bad thoughts, bad feelings in the mouth, how much ever sweet the tasty name or word of God may be, it will be bitter only, it will be salty only. Is this the mistake of the material? No, no, no. It is the defect of the disease within us. So long as they are here, be it students, teachers or anybody else; they fill their hearts with good and sacred feelings. Everything appears good. Everything is sweet. But once they cross this place and go out, falling into the environment of the nature, some diseases start affecting them. What is this disease? The disease of worldly desires commences. Once the disease of worldly desires enters inside, spirituality gets far away. Confusion sets in and there is no cure for this disease. Central Theme: It is very difficult to understand ignorance or Maaya. As the scriptures say, Maaya is truly non-existent but puts up an appearance as though it exists. Through this story of a stranger in a wedding party, Bhagawan demonstrates this non-existent nature of Maaya very well. The story also teaches us the way to overcome Maaya or illusion. Who is the stranger at the party? You do not need to search as to where Sat Chit Ananda (Being, Awareness, Bliss) is. This Sat Chit Ananda is there right within you. Since you have not yet recognized it, the ignorance is catching you and causing pain to you. Students, there is a small story to illustrate this. A marriage is in progress. The party of the bride is in one house and the bridegroom’s party is in another house. To liaison and dialogue between the two parties a “relative” landed up there. He went to the bride’s party a number of times and argued with them each time. “What is this, you are not supplying us tiffin (breakfast) and coffee from time to time, I thought you are going to organize this wedding in a very grand fashion, but you are not doing it well. You are not paying any attention to the bridegroom’s party…”, thus he argued. Next time he went to the party of the bridegroom. “What is this, what all we have arranged for you; though we have called you a number of times, you are not coming. The food is getting cold. You must definitely come soon”, thus he coerced them. When he went to the bridegroom’s side and put pressure on them, they thought that he must be a very important person from the bride’s side. When he went to the bride’s side and put pressure on them, they thought that he must be a very important person from the bridegroom’s party. Soon, the freedom he took, stretched too far. Eventually, both the bride and the bridegroom’s party were vexed. They started an enquiry to find out who this man was. The groom’s party asked the bride’s side as to who he was and they replied that they did not know him. The bride’s party asked the groom’s side as to who he was and they too replied that they did not know him. The moment they both came together and commenced an enquiry, this man was gone. Knowing that his secret was out, he ran away from that place. In the same manner, the ignorance sways towards the Atma at one time and towards the Nature at another time and puts pressure on both. Only when you discriminate and conduct an enquiry into the matter of Atma and Anaatma, the ignorance disappears. We are not conducting such an enquiry today. Is it Atma or Anaatma? Is it worldly (related to nature) or spiritual (transcendental)? Because we do not make such an enquiry it causes so much trouble to us. Central Theme: Without the spirit in any ritual it remains a mere ritual. Bhagawan, through this short story of a businessman attending spiritual discourses, highlights the hypocrisy associated with these spiritual talks and gatherings, on both sides. From the point of the Pundit, Bhagawan laments that all they seek for is a big crowd and recognition. And from the point of the so called “devotees”, they expect instant transformation, but put in no effort to that cause. There was a devotee. He had been attending spiritual discourses since 16 years. What were these discourses about? They were the stories of Lord Rama. Everyday, there would be a discourse on the life of Lord Rama. The quality of detachment is found extensively in the story of Lord Rama. His whole life was full of difficulties. To add to it, the Pundit was narrating the story with all the more feelings and emotions. The Pundit laid down the discipline that whosoever attends these spiritual discourses should do so without absenting themselves even for a day. Because, if people miss the discourse, the crowd will appear less! The Pundit wanted the pride of having large crowds attending his discourse. Therefore the Pundit had laid down the rule that unless one attends these discourses everyday without missing even one day, they would not receive the benefits / results of this Paaraayanam. One day, this devotee had to mandatorily go elsewhere on some work. The devotee asked the Pundit whether for that one day, his son could attend the discourse instead of him. The Pundit was concerned only with filling up the seat; therefore how would it matter as to who came for the discourse. Thinking so, he told the devotee that his son could come for the discourse. The devotee went home. He then thought, “Oh, this Pundit is talking so much about renunciation. Asthiram Jeevanam Loke, Asthiram Yauvanam Dhanam (Life in this world is ephemeral, youth and wealth are ephemeral). If my son goes and hears his discourse, he too may imbibe the quality of detachment. What if he leaves everything and goes away”? Thinking so, the devotee went the next morning to the Pundit and told him, “Sir, your discourses are very good. But if young children of today, like my son, develop detachment and leave their family and house; what will be my fate? The Pundit replied strongly and in a straight forward manner, so as to make a deep impact on the devotee’s heart. “Sir, you have been attending my discourses for the last 16 years. How much of detachment have you developed? Do you think your son will develop detachment just by attending one day of the discourse? It is not so easy to develop detachment. Central Theme: There is nothing bad in this creation. Good or bad is a perception of the human mind. Therefore, it is subjective and relative. None can judge anything in this creation as good or bad. Essentially, everything in this creation is sacred as it has come from the Divine source that is sacred. To drive home this point, Bhagawan narrates a very humorous anecdote. Humorous though, it is pregnant with profound wisdom. What we normally consider as bad, is just another form of the good. Therefore, being embodiments of Love, you must see others too as embodiments of Love. The five elements are there in every human being. These five elements always yield sacred consequences. It never gives out anything bad. But it is you who are converting it to bad. Thus because of the company of man, it becomes bad. As such, there is no bad in creation. But people do not understanding this correctly. Central Theme: Always speak the truth. 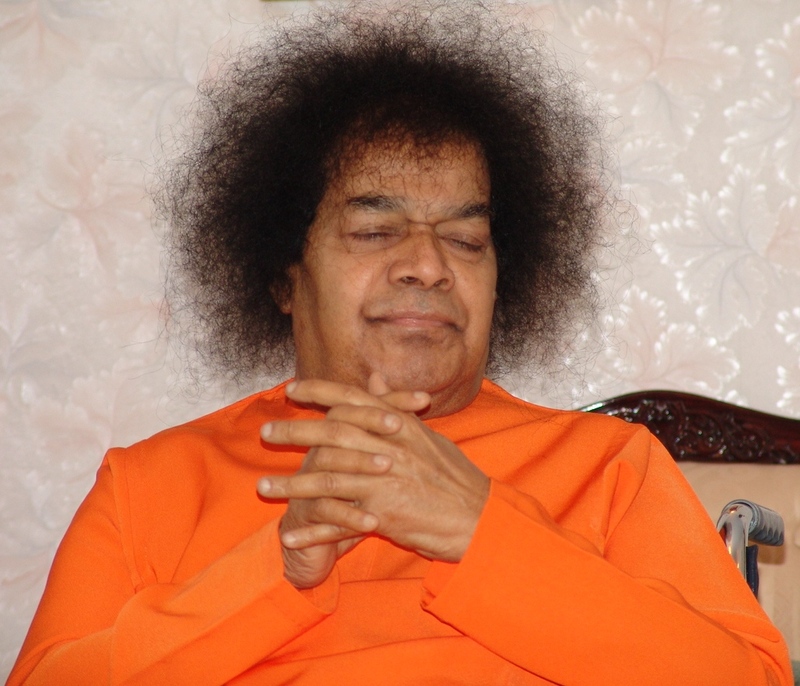 Through this Chinna Katha (short story) Bhagawan stresses on the need for adherence to truth. However, at times, we may be faced with situations where speaking the truth may cause harm to somebody. Then, would it not clash with Bhagawan’s message of “Help Ever, Hurt Never”? Bhagawan resolves this issue in a very unique way. Under such circumstances, Bhagawan says, it is better to neither speak the truth nor the untruth. It is best to remain silent. Therefore, it is important that one should not speak truth that is bitter or unpalatable, but that does not mean that one can utter lies just because it is pleasant. Silence is the best policy in these situations. At times, silence is the best policy! Truth is God. God is purnam (full or complete). Purnamadah - That is full, you are also full, the world is also full, everything is full. Therefore, this fullness is Truth. Truth is this fullness. Truth is full. We must recognize this truth and to the extent possible, we must make sure that we do not utter untruth with this mouth. In case, there is a situation wherein speaking the truth can lead to some danger or some problem, do not speak the truth. Do not speak untruth too. Maintain silence. Under such circumstances, do not speak the truth and do not speak untruth too. If the ascetic says he has not seen the deer, it would amount to untruth. If he says he has seen it, the hunter will ask him about its location. If the ascetic points to the deer in the bush, the hunter will cause pain to it. In that case, he (the ascetic) would be guilty of not keeping up his vow of not harming any being. If he says he has not seen he would be telling the untruth. At that instance, the ascetic prayed to God. “O God, please give me a vision, a thought, such that both these vows of mine will not be broken”. God immediately granted him a vision. For the one who prays with a pure heart, God will respond within seconds. If the prayer is only a lip service, He will not respond even in years. For the one who prays from the heart, there will be immediate resound, reflection and reaction. There appeared the vision. The ascetic said, “the one that has seen cannot speak; the one that can speak has not seen; what can I do? O hunter, the eyes have seen the deer, but they cannot speak. They do not have a mouth. The mouth can speak, but it has not seen. How can it speak about that which it has not seen? How can it see that which it has not spoken about? One thing sees and the other thing speaks; this is not truth”. In this manner, the ascetic escaped (from the situation). God had shown him the right path. In this world, man living a human life, must make an attempt to escape such confusing circumstances. He must speak the truth that will result in some great danger. At the same time, he must not incur sin by speaking the untruth. He must follow the Madhya Maarga (middle path) as this is the Madhya Lokaa (middle world). Central Theme: Through this Chinna Katha (short story) Bhagawan points out the folly in our efforts today. We complain about the growing restlessness in the world, but we do not make an attempt to identify the root causes for the same. We do make great efforts, but in the wrong direction. It is like the person who climbed up the ladder, no doubt; but finally discovered that the ladder was resting on the wrong wall! Root cause analysis, in-depth understanding of the problem and the right holistic approach to problem solving, is the need of the hour. Today we see many people around us with our eyes. The lack of peace (restlessness) is somewhere, the efforts being put in are elsewhere; we are not able to understand anything. We are not giving the medicine appropriate to the disease. When there is pain in the stomach, we put eyetex in the eye. Does this reduce the pain in the stomach in any way? Therefore, we have pain in one place and the medicine given is for something else. The restlessness we face is one thing, but the actions we undertake to relieve ourselves from the same, leads to further restlessness. A father had only one son. When he was playing in the room, the ball went into a corner. The child went to the corner to fetch the ball and a scorpion bit him over there. 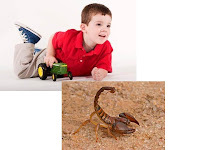 The child came crying, “Father, a scorpion has stung me”. The father loved the son very much. As the son was stung by a scorpion and was in pain, he ran to the doctor. The doctor gave him an ointment and said, “Rub this where the scorpion stung him. It will act as an analgesic and he will not feel the pain”. The father did not understand the advice correctly as he was in a hurry. He asked the son, “Where did the scorpion sting you?” The son replied, “Father, it stung me in that corner”. The father took the ointment and rubbed it in that corner. If it is rubbed in the corner, will it remove the pain? It has to be applied where the child has been stung (on the body). By applying it where the scorpion is, will it remove the pain? All our efforts today are of this type. Where from has lack of peace (restlessness) come? Recognizing that, we must make an effort to remove the restlessness. Not recognizing this truth, if the pain is in one location, we are making an effort to remove the same elsewhere. Central Theme: Through this Chinna Katha (short story) Bhagawan communicates multiple messages. First of all, His style of narration is very humorous! The story is not new. It is a very well-known story. But yet, hearing Bhagawan narrating it is an experience by itself! Through this story, Bhagawan indicates the plight of present day education. He compares the dullard crocodile to the intelligent people of today, driving home the sad state of education in modern times. On the other hand, He uses the example of the intelligent monkey to focus on the greatness and nobility of Sri Hanuman, the faithful servant of Lord Rama. He also highlights the type of friendship that one must have. We must make friends only with sensible people and not with dullards. Truly speaking, today’s education is setting students on the wrong path. It is killing the very human nature. It is destroying humanity completely with its “knack” and “crack”. There is small story to illustrate this. You all know it. I have narrated it several times. There was a crocodile living in a lake, spending its time over there. There was a huge tree on the bank of the lake. A monkey lived on that tree. The tree was a Neredu tree (Myrtus cyminum or Rose Apple tree). The monkey used to eat all these fruits. It would eat the fruits and then drop them down. The crocodile would eat all the fruits that had dropped down and also the leftovers of the fruits, and it was very happy. The crocodile ate in this manner for quite some time and grew fat. 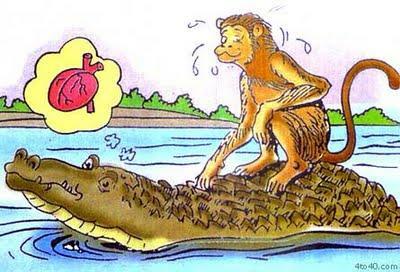 A very good friendship developed between the crocodile and the monkey. The crocodile said, “O monkey Baava (brother-in-law), O brother-in-law monkey, I am enjoying every day the wonderful banquet offered by you. You should also visit my home one day and accept my hospitality”. The monkey was surprised. Where does this crocodile stay? Where does it have its house? The monkey started wondering. The monkey is the ancestor of the human beings. Therefore, it has great intelligence. We may just call it a monkey. But the intelligence that a monkey has, even a man does not have. That is why Hanuman prepared himself as the servant of Lord Rama. He accomplished such great tasks. The monkey accepted the proposal. “How do I come to your house? I cannot get down into the water. You cannot leave the water and come onto the bank. Then how can I visit your house?” the monkey questioned. “O friend, I have such a huge body. You sit on my back and I will take you across like a boat”, said the crocodile. The monkey sat on its back. As they were about to reach the other bank of the lake, the crocodile revealed the true secret. The crocodile said, “No. no. O brother-in-law, my wife has a great desire to eat your heart. I must satisfy her wish and that is why I brought you here”. The monkey thought deeply and said, “O foolish crocodile, satisfying your wife gives me also great pleasure. Why did you not tell me earlier? As I keep jumping here and there, (with the fear that) my heart may fall down, I have left my heart hanging on the tree. Come let us go back. I keep jumping all the time. As the heart may fall down somewhere, I kept it in one place safely. Come, take reverse, let us go back and I will get the heart”. You are doing a great service. I pray that Swami continues to work through you.